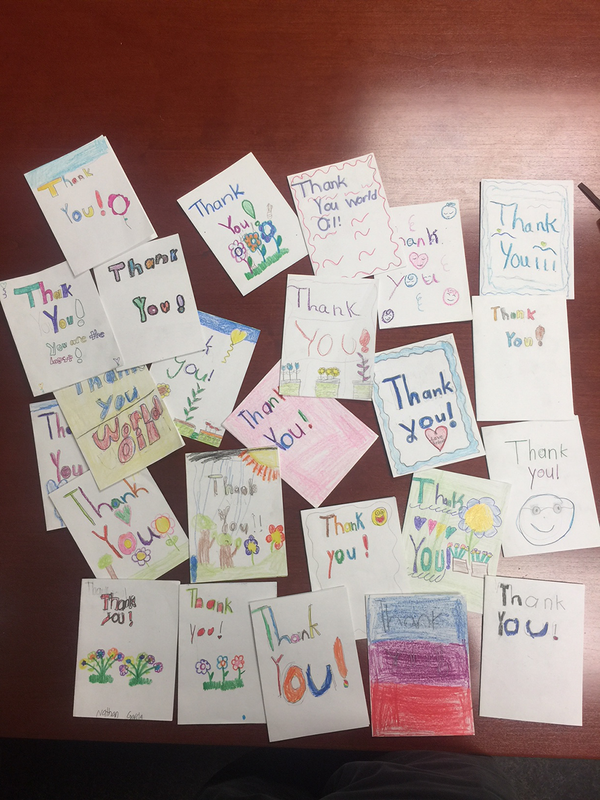 A Special Thank You from Jefferson Elementary - World Oil Corp.
World Oil received a surprise batch of thank you notes from the students at Jefferson Eelementary. 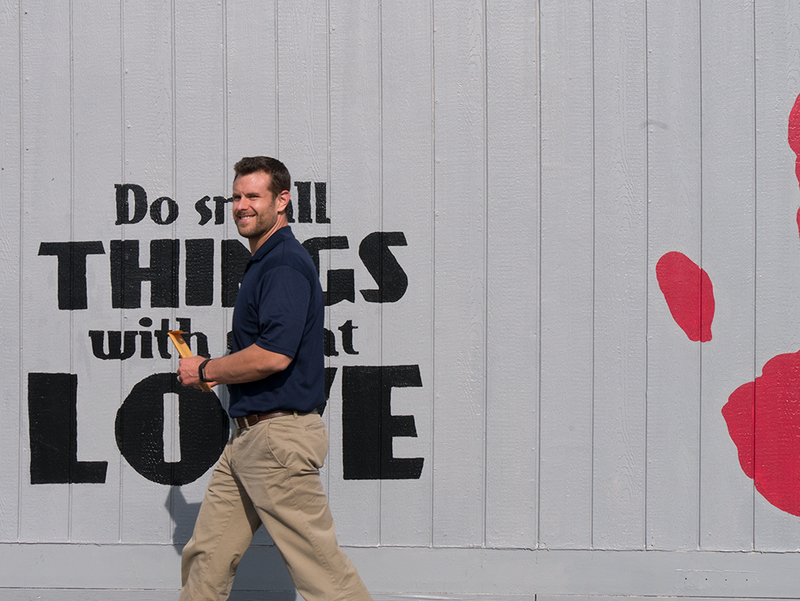 Our employees are participating in the school’s landscape improvement program and World Oil is helping with trees, plants and supplies. 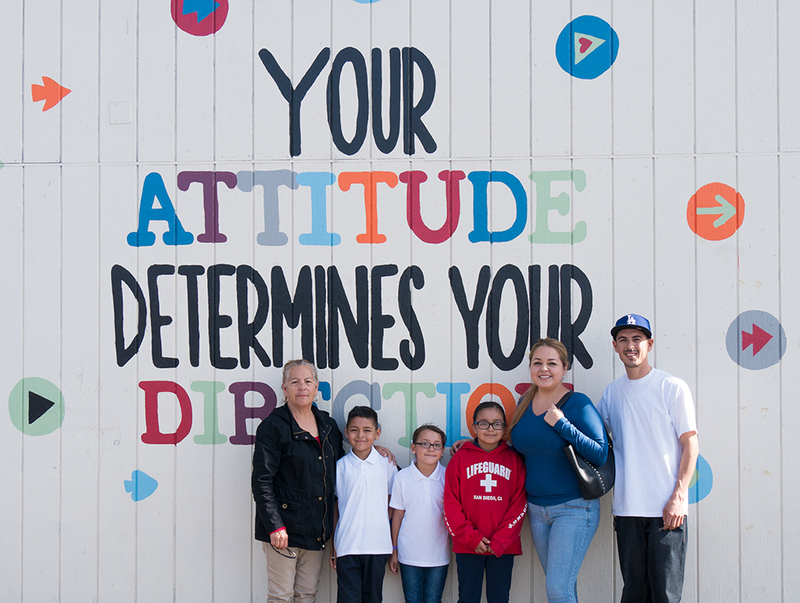 World Oil Employee Santiago Duarte and his family stop to pose in front the new mural that was put up in part with donations from World Oil Corp.
World Oil’s Alok Das, Jim Thivierge, Jeff Baxter and Julia Tapia tour the campus looking at the results of the schools beautification efforts with Principal Salvador Aquino (third from left). 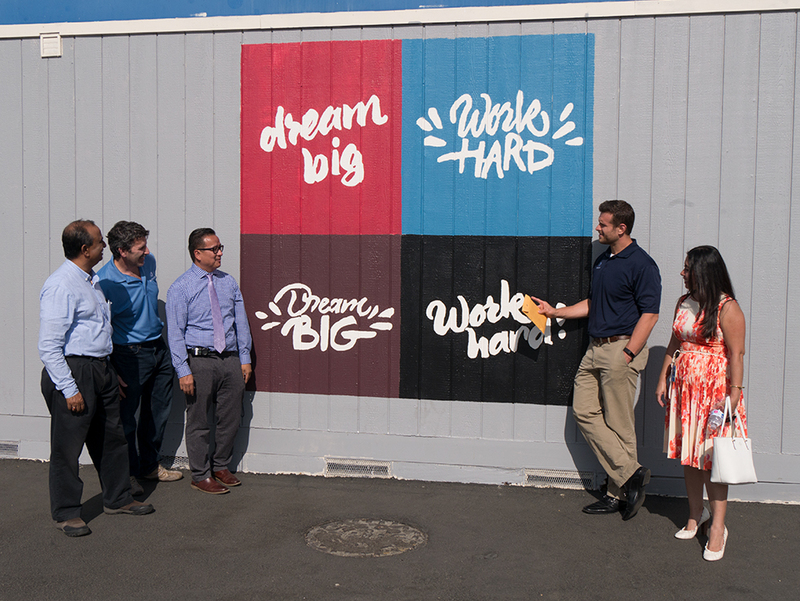 Each mural contains an inspirational reminder to students.